The IT firm said it recognises India as a "growth opportunity", over the potential of combining technological tools with the country's ambitious campaigns like 'Make in India' and 'Digital India'. 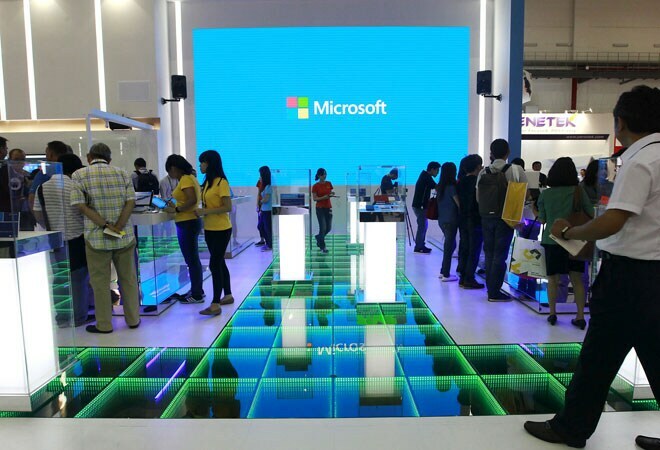 Microsoft recognises India as a "growth opportunity", a senior company executive has said as he voiced enthusiasm over the potential of combining the firm's technological tools with the country's ambitious campaigns like 'Make in India' and 'Digital India'. "What is really exciting are the initiatives going on with the government" and technology plays a very critical role in all, whether it is Make in India, Digital India or the Skill India campaign, General Manager - SMS&P (Small and Midmarket Solutions & Partners) at Microsoft India, Meetul Patel told PTI on the sidelines of the Microsoft Worldwide Conference that concluded last week in Orlando. "The government has done a tremendous job in building excitement around India. The programmes are easy and simple to understand," he said in an interview. "From Make in India, Digital India to the (focus on) smart cities, it is pretty evident that things are happening and it makes it easy for us as business people to talk to others in the rest of the world and say here is a story and there is a resonance that already exists in their minds about what is going on and it helps a lot," he added. Patel voiced optimism and enthusiasm over the possibility of a technological "explosion" in the country as technology converges with the political environment. "Microsoft's technology combined with India's passion and desire to enter the 21st century and our partners' ecosystem readiness, you put all of this together and we are looking at a new era in terms of technology adoption in the country," Patel said. He said while it has been only a year for many of the government's ambitious programmes to come in, "we can feel and see the momentum beginning to happen." He noted that while manufacturing is the focus of the Make in India initiative, quality and collaboration will be necessary to fit into the global supply chain and Microsoft tools like Office and Skype provide that very capability. "In order to plug into a global supply chain, productivity, quality and collaboration are going to be necessary... Microsoft tools like Office provide that very capability," allowing firms to communicate and collaborate across the world, Patel said. Patel said that Microsoft's partners recognise that India is a "growth opportunity" as they simply look at the "white space in the country - the population that has not started using technology." "Not many countries in the world have the size of population - consumer and small business - that have not begun to use technology as in India," he said. The solution providers that develop the applications that can be on cloud are also talking to the company and inquiring about applications relevant to the consumer and small business, he said. "The India story is a very exciting one. It is the biggest white space that exists in terms of opportunity for many companies to come in," he added. Patel also cited the initiatives taken by Microsoft in the country to get women initiated in IT, programs to educate teachers and investment in educational institutions as "our efforts to get the environment and ecosystem ready to be able to support this growth." Referring to the government's Skills India initiative, Patel said Microsoft's cloud and mobility can help people learn and acquire new skills in unprecedented ways. "The internet provides the ability to people to remote learn and get access to information...This is what cloud and mobility provide... We are opening the doors for people to learn and develop skills in a different format in a scale and speed that were never accessible before," he said. Patel, however, said that infrastructure still remains a challenge.